Well, we've had Pink day this week and now it a day of GREEN. 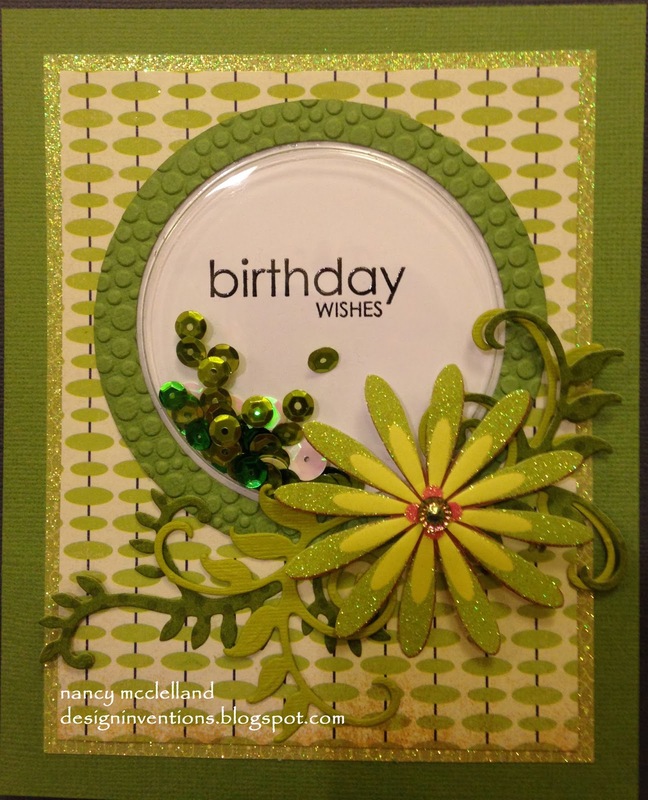 I know that spring is somewhere out there and today over at Creative Corner Challenge we are thinking GREEN. Now I didn't include a colored image, but my card is totally GREEN. I decided that I wanted to used a shaker with sequins this week with a simple birthday wish. I started by looking through my scrap papers and pulling out a few coordinating greens then I picked a couple of accents. The flower is from an old sticker set and then I die cut the accent leaves. 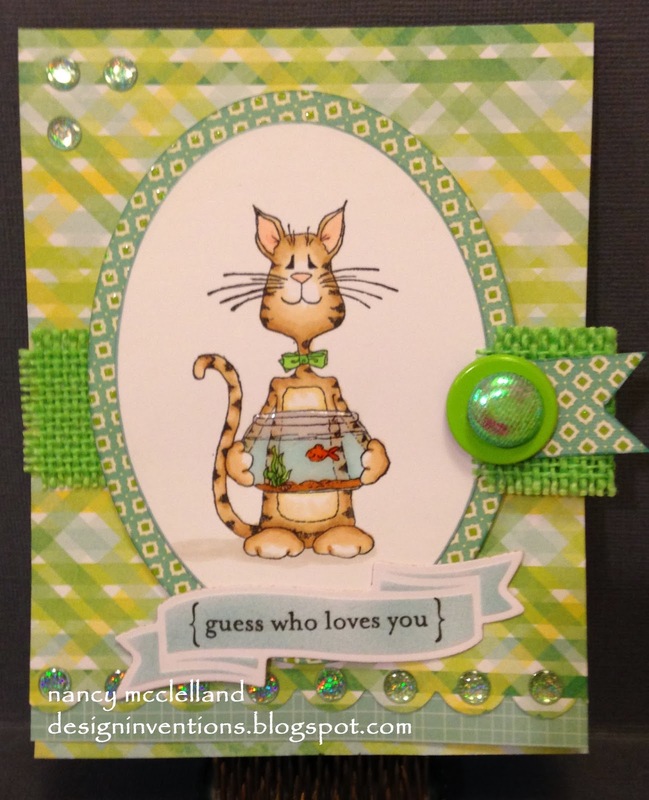 I hope you enjoy this fun card and stop over at Creative Corner this week. I have a few of the products that I've been playing around with and wanted to share a card today. Amuse' Studio is offering a new 6 X 6 pattern paper pack that has very cool papers, the card below features 2 of the papers. I've selected the black & white background paper and the pretty pink flower paper for my card. The flowers have been fussy cut from the paper to use as an accent. 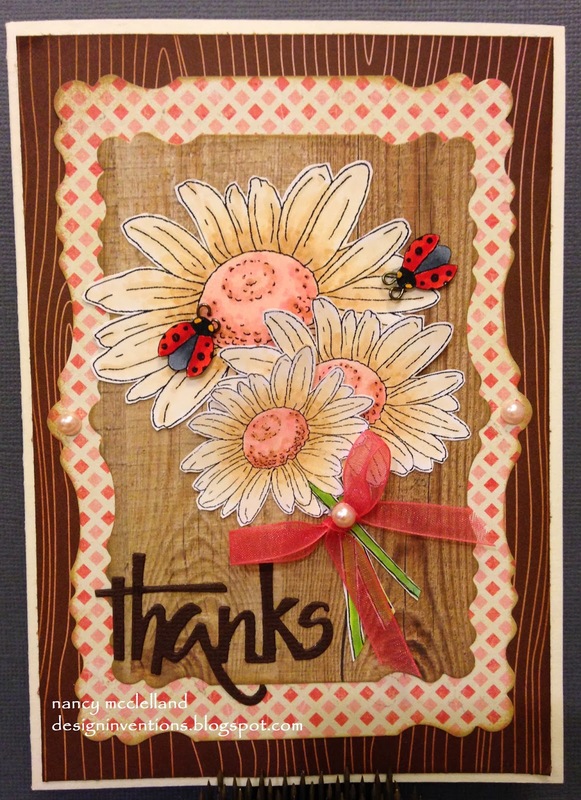 The 'thanks' is a new word die that I cut 3 times and stacked them with an offset to add the dimension. 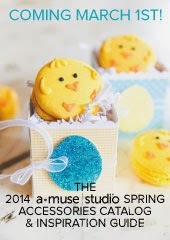 You can also visit the Amuse' Studio blog to see more fun products. I hope you enjoyed this little peek and will stop back again. I decided to do a somewhat tie-dye look for her dress and I always love adding the pink to touch to blond hair. It adds a fresh/punk look and I think my daughter will like it. I must admit that I had Valentine scrap laying on my desk, so that's where most of this paper came from. 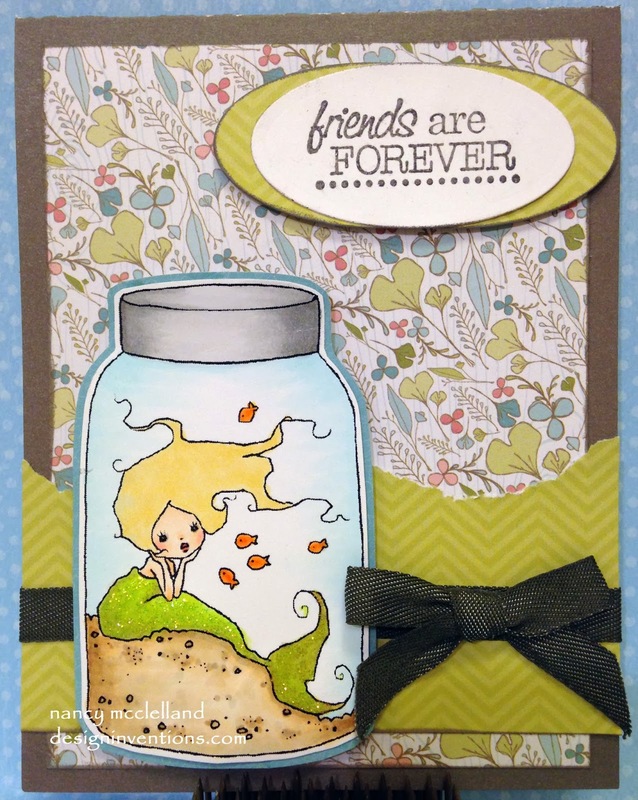 The 'hello' sentiment is a new die that will be available from Amuse'Studio starting March 1st. I cut the sentiment 3 times and then stacked them for a little dimension. I hope you hope over to Hobbycutz and see the other DT creations. It's Monday at The Outlawz and Anything Goes..
Don't you just love Anything Goes Challenges? Well, that's what we have this week at The Outlawz. 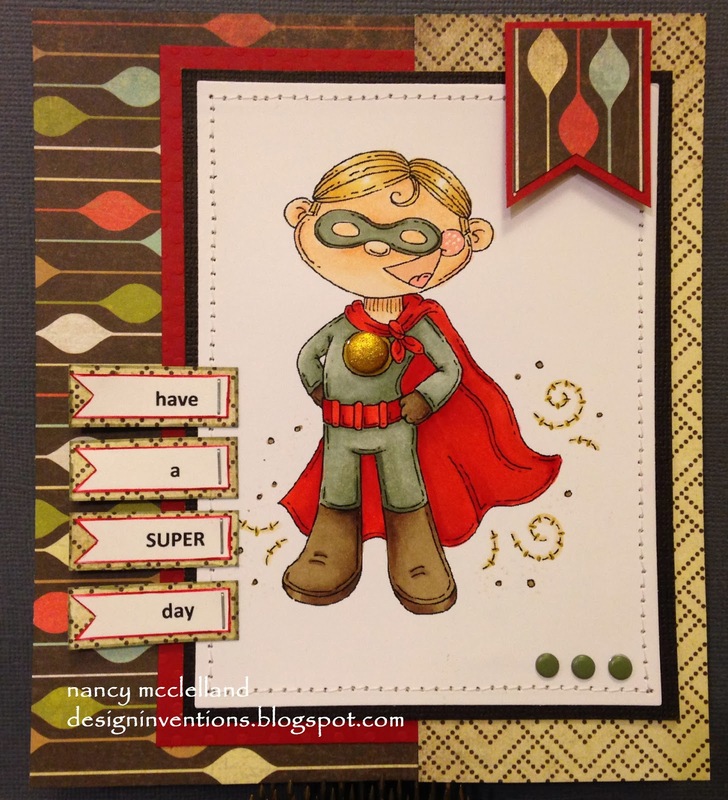 My image is Little Super Hero from Meljiens Designs. I'm sending this card to my nieces son, just to say hello. I had fun putting this card together and can't wait to get it in the mail. Hopefully you will stop at The Outlawz and check all the DT cards. Thanks for stopping by to visit today and hope you have a great week. Since today is the closing ceremonies of the Olympics this week over at 613 Avenue Create we thought it would be a fun TWIST to represent your own country by using your flag colors! I have an image from Limited Runs this week for my card. This is Starry Cupcake. I have the Red, White & Blue for a basic fun card. 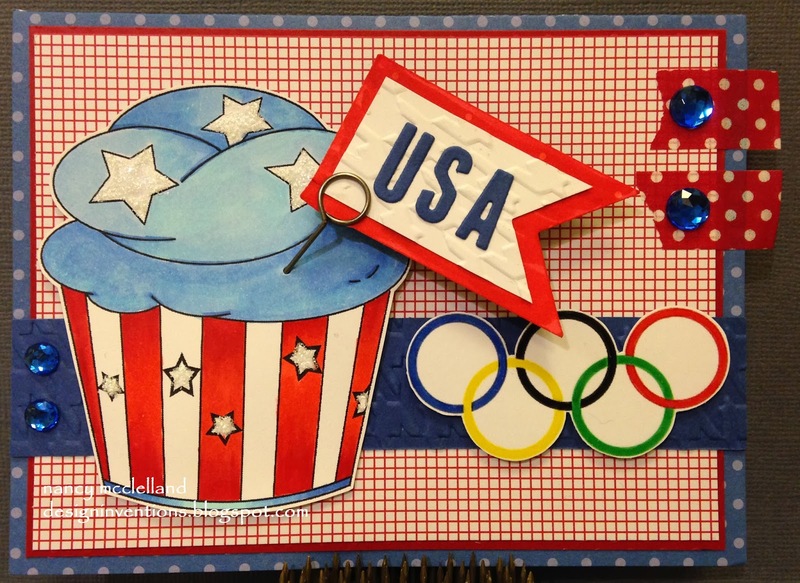 I hope you will go on over to this weeks feature and see all the Olympic size inspiration. Hiding In My Craft Room has a new challenge today. Challenge #138 - What's Buggin' Ya? So what in the heck does that mean? It means use a bug! Any kind of bug, just somewhere on your creation there needs to be some kind of bug! The sponsor this week is Alota Rubber Stamps. 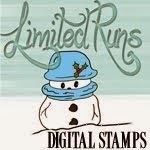 Search their web site for cute and whimsical rubber stamps. They also feature background scenes in full size and miniature, and they have a large selection of tea bag folding stamps. 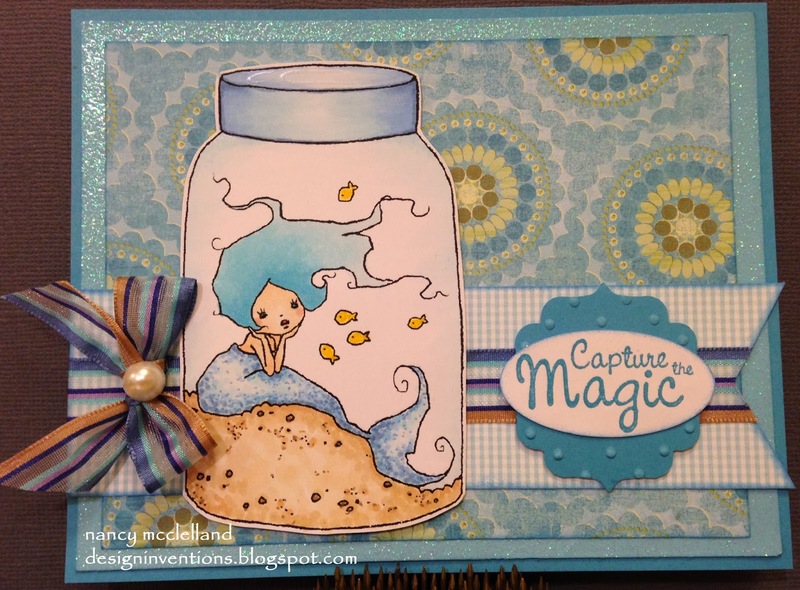 For great inspiration be sure to visit their card gallery! 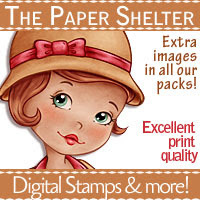 And be sure and check out the awesome job that the design team did using some adorable Alota Rubber Stamps images! 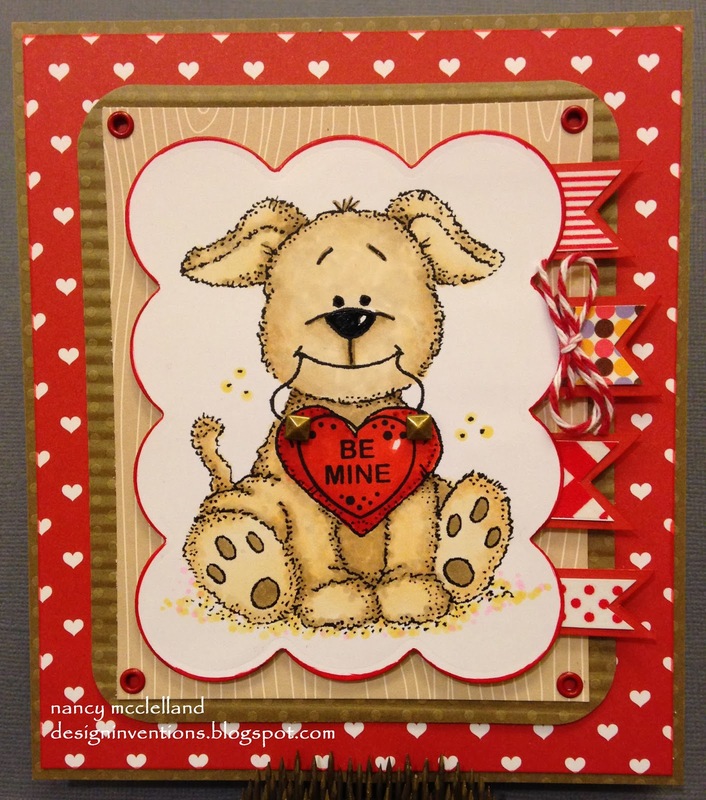 There are so many cute cards over on the blog so please go over and check things out. It's snowing again today here in eastern Iowa, but I have a hint of Spring to bring to you today. 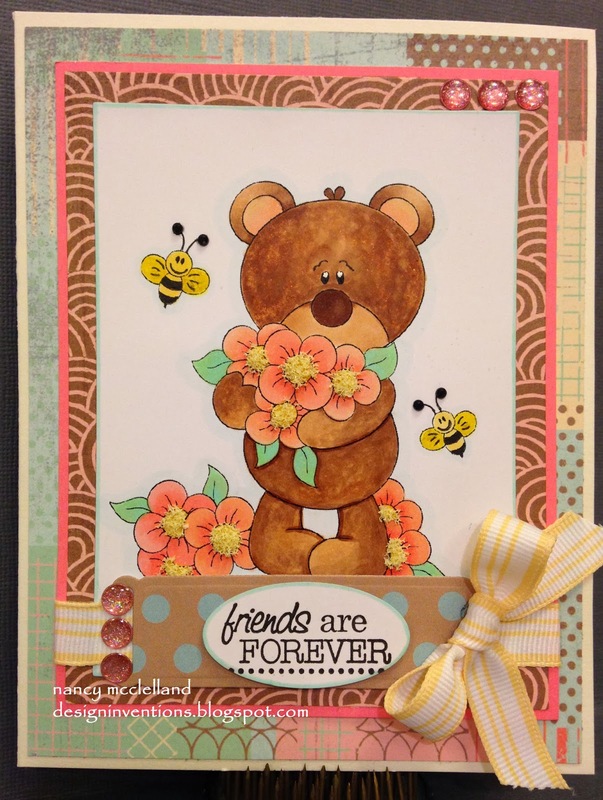 Over at The Outlawz we have an Animal Planet challenge this week, but my DT card also offers up some fun flowers. I love these images and the fabulous variety. This week I have chosen Teddy Bear Picking Flowers. I colored my image with Copics and then added some Flower Soft to the center of the flower. This is a great image for many occasions and a great hint of the warmer weather that will come our way, hopefully sooner than later. Thanks for stopping by today and hop over to The Outlawz and join the fun. Creative Corner Challenges are back. Creative Corner took a small break over the holiday's, but we're back. This is Team Mel's first post for the new year and we have a very sweet challenge. Of course I love the little dog. I decided to stay with the Valentine theme for this last challenge, the image actually has a blank heart and I added the 'Be Mine' sentiment. 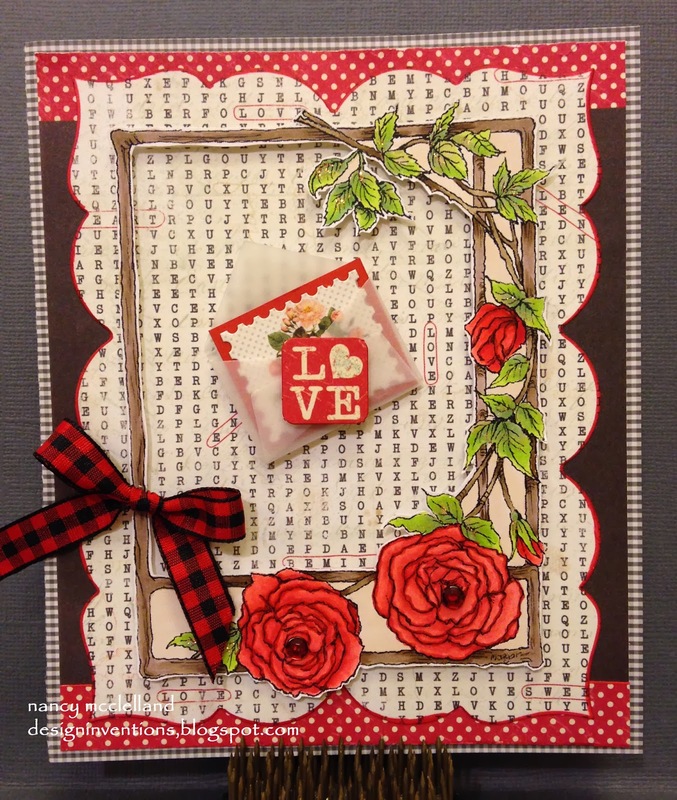 This weeks challenge at Hiding In My Craft Room is all about PAPER. This just means to use 3 different kinds of printed or designer paper! 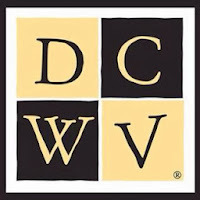 The sponsor this week is DCWV! 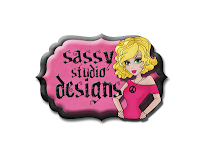 Their designs are awesome and you can find stacks for any occasion or for any theme! 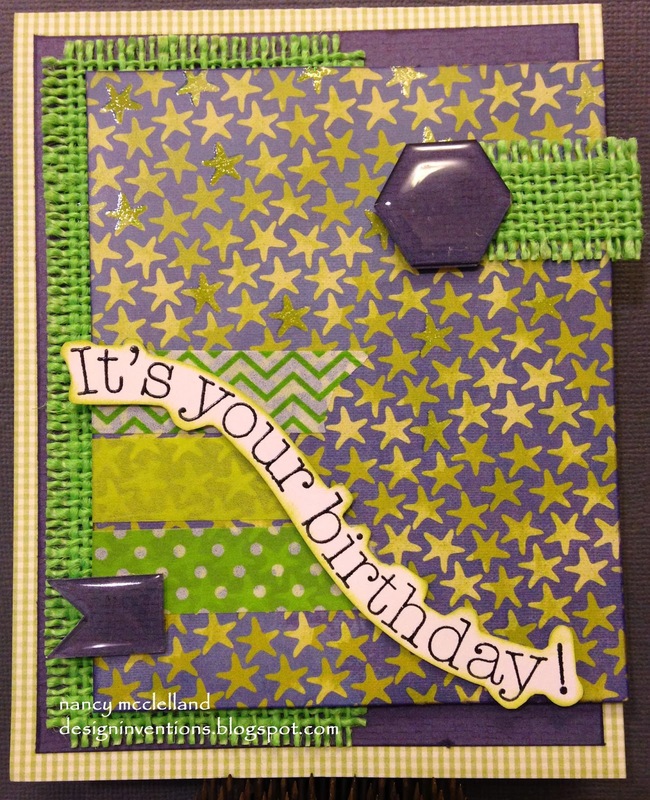 My card this week features all DCWV papers and I love the fun color burlaps they offer in this years Spring/Summer collection. 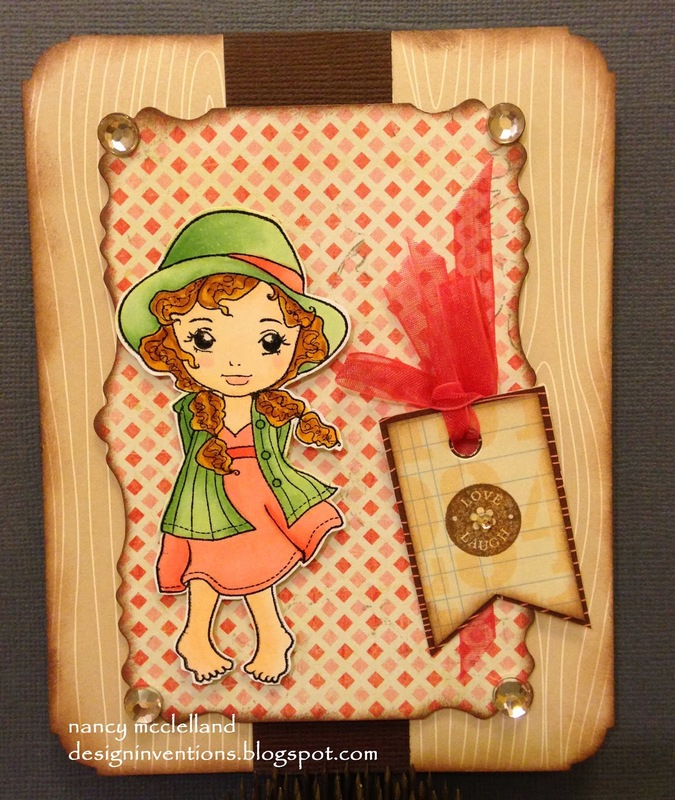 The stamped image that I used is one of my all time favorites. This cat is so cool and sly. I hope you are having a good Saturday and are staying warm. Thanks for stopping by. Well, 33 years ago today I gave birth to my first child. He was born on Friday the 13th, but has always been a joy. I call him my Valentine because he only missed the 14th by a few hours. I have a card to share today that I made for Justin. It has become somewhat difficult every year to come up with something new because he looks forward to getting that special handmade card. There was a time several years ago that Justin had an entire wall of special card in his office. He is a special son and I want to wish him a very Happy Birthday!!! 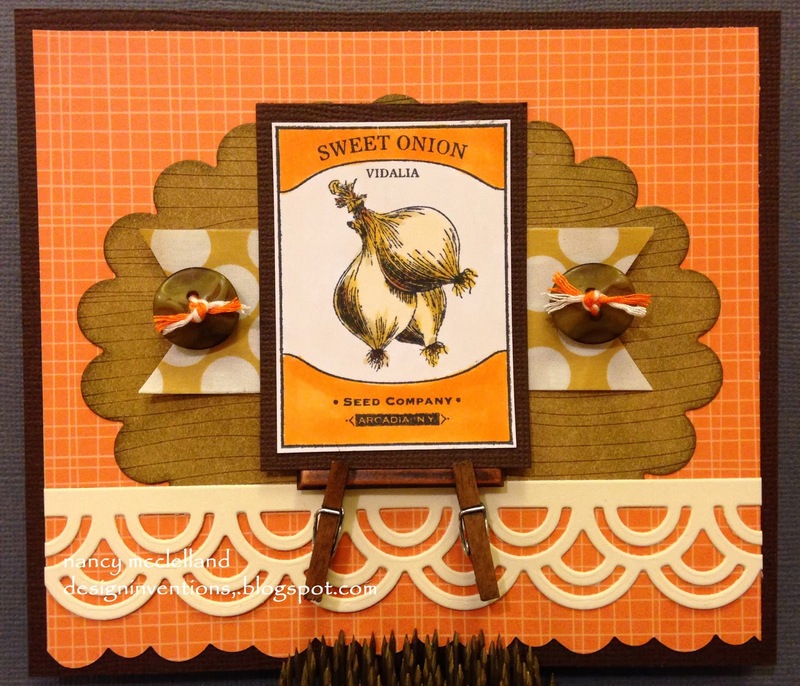 My card is very basic with several papers, a little burlap, washi tape, epoxy elements and a fun sentiment. The colors look much better in person, not sure why they didn't photograph as well. This week at 613 Avenue Create we have our Anything Goes or Create Your Own Challenge. You've probably seen our chart before and it may look intimidating, but really when you get down to it you probably use these items on most of your cards. Here's my card for this weeks challenge. I just love this little girls face and freckles. I decided to add the dimension of real buttons in her hair instead of just coloring them. There are many fabulous creations from the DT, so go check things out. 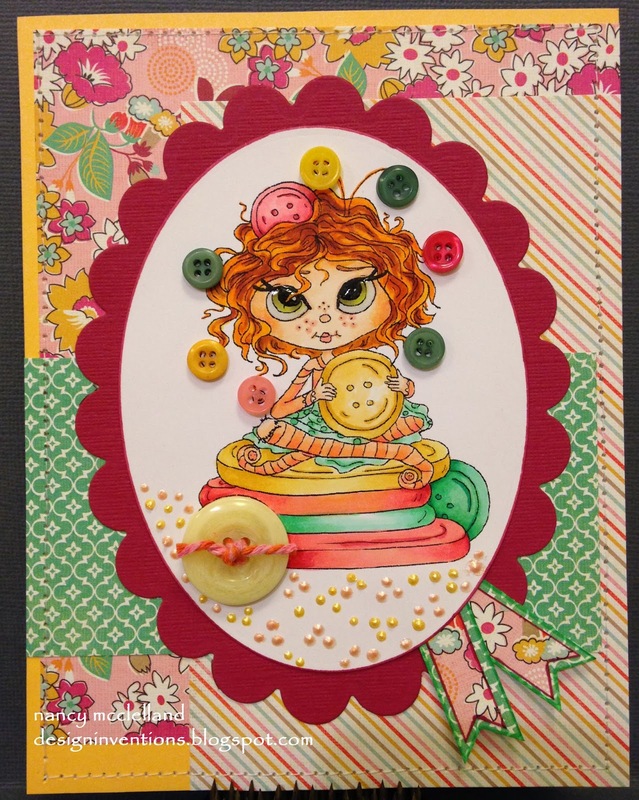 Hiding In My Craft Room and this week image is so cute. 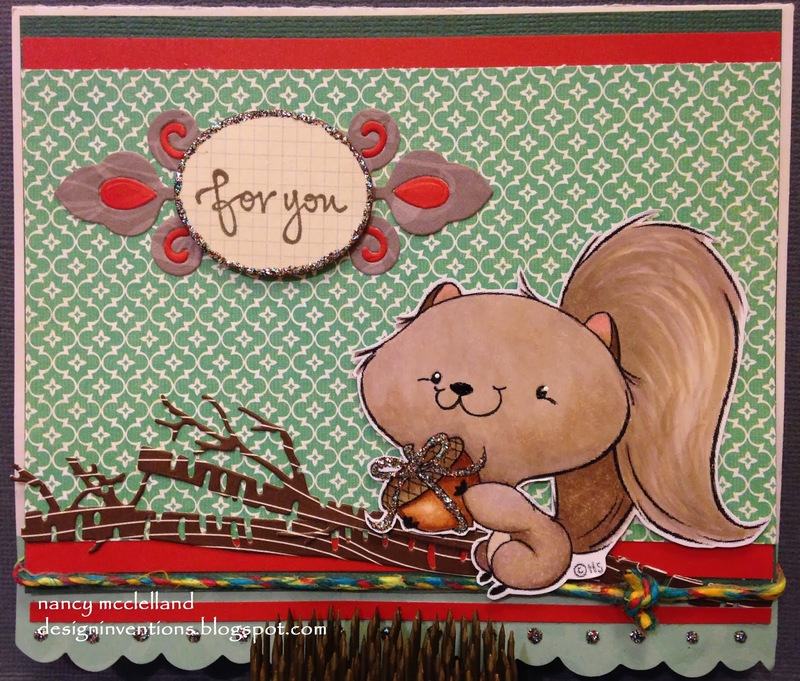 The colors I chose were dictated by the papers I had laying around, My squirrel has more of a gray tone, but that's really how they look here in Iowa. I had the tree limbs and some extra die cute pieces that work very well. My main accent is the Stickles on the acorn and bottom edge. Luckily we keep the same things in our pantry and 99% of the time we score. So today I want to show you a card that I made for and onion exchange, just to say thinks when I replace the product. 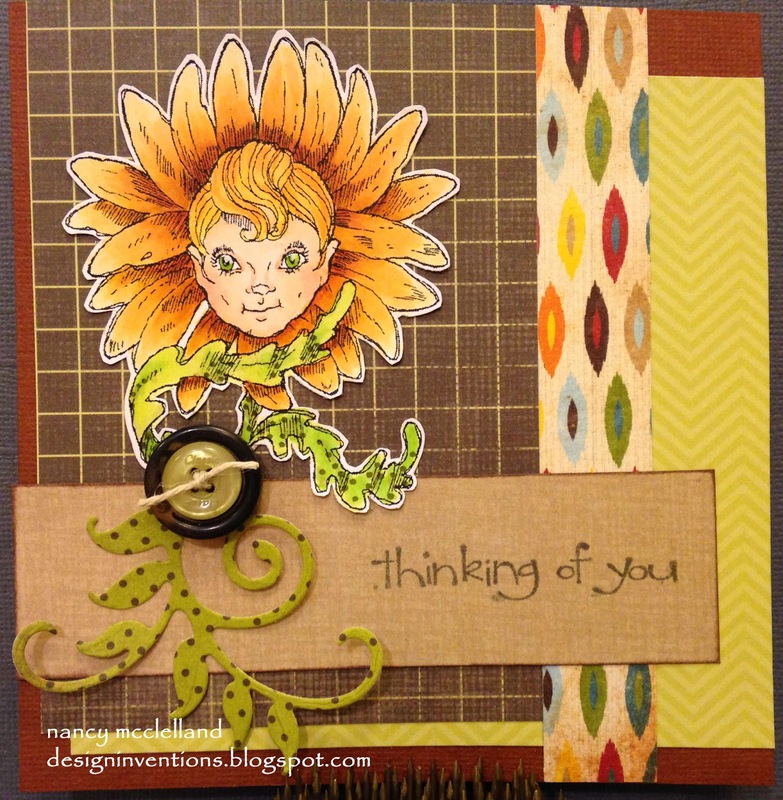 I have some cool little stamps that have seed packet design and they work so well for this type of special card. I made a little easel with mini clothes pins and a bar brad. I used some odd scraps that I found on my desk which also allows me to clean up my work area. Thanks for stopping by and stay out of the cold. I try very hard to keep my work area somewhat picked up and clean. I need to have a little order when I put cards together so I can find exactly what I need. I have a pile of very old images that I colored sometime ago and decided that I should start using them. Now I must admit that some of the older ones are just going to be thrown away, but I did salvage some and will start putting basic cards together. I just started picking up some odd papers that I thought would go well with the Zinnia image. The decorative die background is a new addition to my stash. I got it from a good friend that used to work with Spellbinders and she is now getting ride of some of her inventory. I left the paper in the die after I cut it and then sponged some light brown ink over the holes to put the light shading and add that special detail. I hope you enjoyed seeing what you can do with very little paper and scraps. My favorite type of cards! So did everyone have a great week? I hope your favorite team came our on top during the Super Bowl. I guess if you are a Bronco's fan, it wasn't much fun, so let's forget about that loss and let's get in the craft room and make a card. 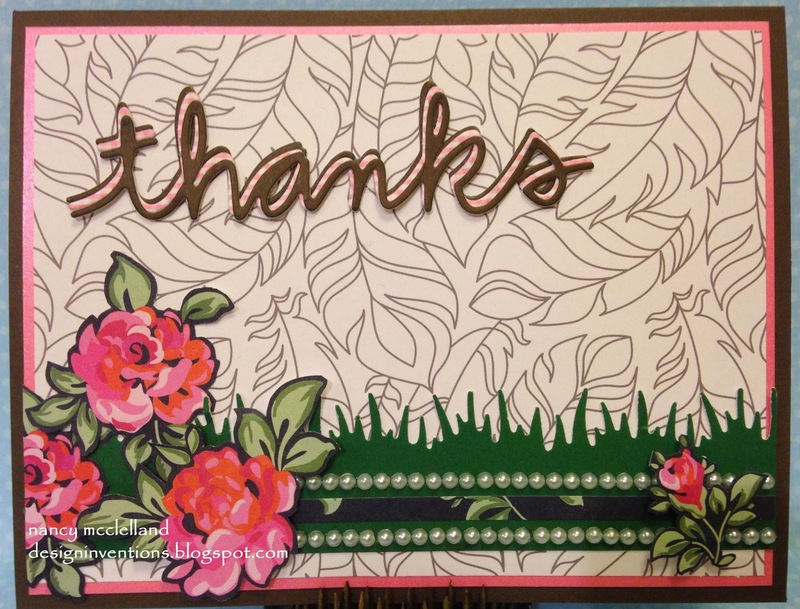 For the first challenge in February over at The Outlawz, the Greetings Team would like to see all your 'Thanks You' cards. It was fun to make a spring card with all the snow that we've had lately. I used the basic daisy image and sized it three ways. I colored each image and then cut them out. layering them on top of each other to create a bouquet with the ribbon accent. 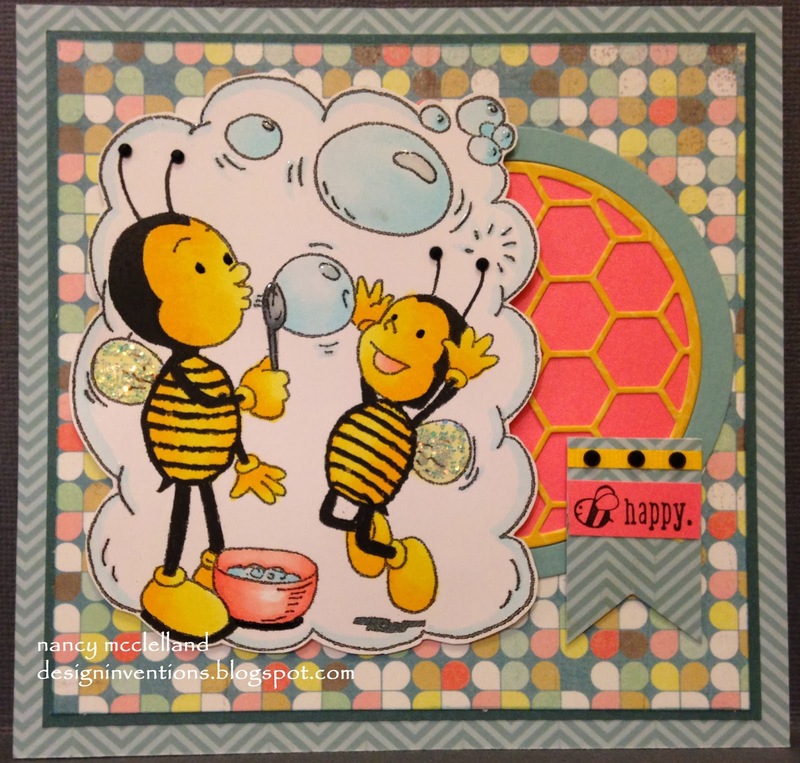 The ladybugs were colored and cut out, using pop dots to mount on card. The sentiment is from a very old Cuttlebug set. Thanks for stopping by today and don't forget to hop over to The Outlawz and see all the inspiration this week. It's Sunday, Are You Ready For Some Football? My card today has nothing to do with Football, but it is Superbowl Sunday. I did a little work today in my craft room, finished my cards for my DT blog post. I found a few things laying around and decided to put this card together. A little Rick St.Dennis image that I colored some time ago and some scrap papers. Simple card for my stash. Thanks for stopping by and if you're a football fan, I hope your team wins. It's been a long week, lots of snow, cold weather and a sick little grandson. With snow and school closures plus ear infections, I had baby boy 4 out of 5 days this week. I have enjoyed everyday, but it did put a cramp on my crafting. But it's Saturday, with a fresh 3 inches of snow and I'm going to play all day!!! So to start things off here's this week inspiration from the Hiding In My Craft Room blog. Use blues! ANY blue colors! 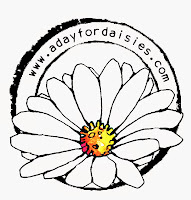 The sponsor this week is A Day for Daisies. Does this look familiar? Well if you follow my blog you have seen it before. I am on several DT's of various blogs and another one of my teams used the same image. Just wanted to re-visit the other card so you could see how different they turned out.